every rare now and then i'm allowed to stand down, to feel either so safe that vigilance can be relaxed, or so humbled by my tininess that i surrender, but no, that's not standing down, that's an animal of a different skin. standing down says you, boy, young man, old man—you—you can relax for a breath or two, you can unlace your boots and you can lay your heavy armor down right here. there's food if you're hungry, and a quiet corner to sit in, just near enough to the fire to keep you just right. please, stand down son, take a moment of ease, a free breath, a moment w/o being wary, a span of time where calamity won't befall you. no guarantees for very long at all—about disaster avoidance—but still, you've earned these few moments carved out of the burning heat of the raging hillside fire. dear ones, guides and guardians alike, angels and friends, a prayer: if i can ever shelter someone safely so they can stand down, please send the call. i will do my very best. and say thanks, a lot, if you ever get to stand down. nod, in all humility, or better yet, stop fully and bow deeply. you not only survived, but you've had these moments that come so rare. there was reported in the last five days that a 2,500 ton chunk of granite fell off of Half Dome in Yosemite National Park in California. 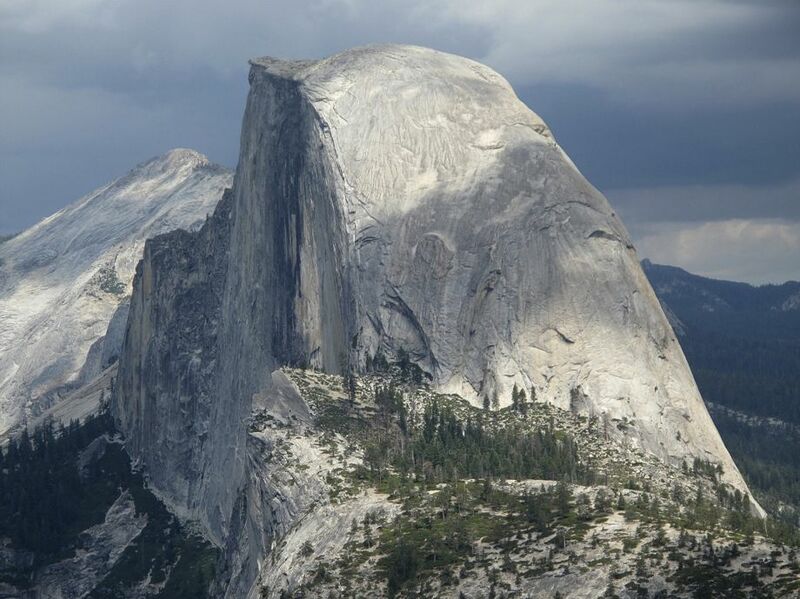 Of the cliff face, it was a small fraction, it was less than 1%; to nearly anyone but a climber or geologist, it would be unnoticeable, so vast compared to humans is Half Dome. but i have a spate of days for writing here in mid-July, bless, and for standing down. the analogy i have come to use when trying to understand myself is a burden carried upon the shoulder—like wearing an apron w/ a thousand pockets filled with sand and responsibility and granite. All stuffed, and i know i need to stand down, my bodymind practically demands it for the pain and distress signals it sends out. Alas, time to write, and i felt granite fall from me, unimpeded. Standing down. I exhale. The thing is, i know those burdens to be largely of my own making. that's nearly always how it is. We are powerful creatures, able to re-make ourselves countless ways. Sure, we are entwined with past and dna, and in the end these bodymind journeys always end, but in the interim—while alive—we have great liberty to concoct ourselves however we wish. But, and this is the abstract of my best work, it requires time. Time as a form of spaciousness, as a canvas upon which to dab happy little episodes in your unfurling life, for those episodes are it. That and contemplation. Our lives don't 'start at some point' they are occurring at full speed since birth. Without this time for reflection, we are much more likely to be victim to the tumbling energies swirling and bashing all around us. It is for this reason that certain people gravitate towards earthly power, and create addictives so people become enamored with the shiny baubles and fail to use their time wisely in contemplation and earnest, curious reflection. My work is about helping people remember they have powers to create spaciousness on the inside, and with that gift of self to self, they can live better and if so inclined, help others. My work requires an attentive practice of noticing, and an increasing experience—also through practice—of presence and Love. those are the commitments: to be present as fully as possible, and to Love. Those two can play out in incredible ways, in symphonies or children well-loved, in gardens or projects well-done. We live on a marvelous planet, truly one of the best in the entire known world. It felt that one granite shelf cleave off my bodymind like a 2500 ton of granite. And really all that was falling was too-muchness, too much on, too much doing, too little space to be in Awe.